Confessions of a Book Junkie: New Year = New Books! New Year = New Books! Yes, I have returned here. I've been mostly hitting the books (obviously), school, and Tumblr. 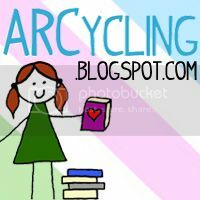 One of my friends convinced me to resurrect this old blog I have neglected for several months. OK, it's a new year and my goal is to reach 100 books (Last year's book count: 59). If I could reach 50,000 words in 30 days on NaNoWriMo, then this should be a walk in the park. Until then, I leave you with Chayanne's latest hit "Si No Estas"